Both of the tournament games have been worrying for this Tennessee team. In the first-round game against Colgate they had to go to the final minutes to put them away and of course their most recent game where they blew a 25-point lead to Iowa in the second half. Is underestimating early round teams the reason the bookmakers have made them only 1.5 point favorites? Texas Tech’s weakness on defense is that it’s not a great rebounding team, which came back to bite the Red Raiders in the Big 12 tournament when West Virginia dominated them on the glass and pulled a stunning upset. 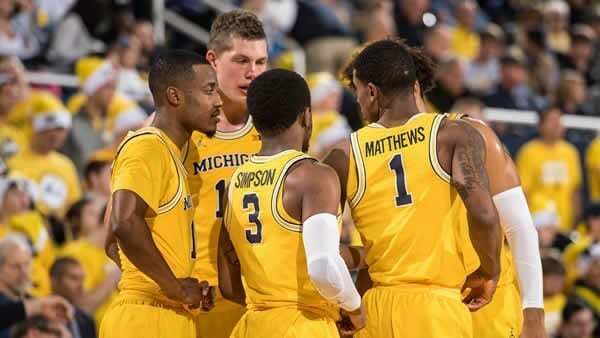 If the Wolverines are willing to hit the glass should we expect them to cover against the 1.5 spread? Dan Jamison has your free pick! Oregon just might be the hottest team in the nation right now after dismantling both Wisconsin and UC Irvine, making the country sit up and take notice of how good the Ducks really are. Oregon is a team that can play either pace even if Virginia slows the game to a crawl. Sportsbooks are offering Oregon bettors a big 8.5 cushion versus the Cavs. Dan looks at this match up and predicts if that will be enough! A year ago, Gonzaga had a great shot at making the Final Four before running into the Seminoles’ combination of depth and defense. Gonzaga stars Rui Hachimura and Zach Norvell got their points, combining to score 30, but they had to take 28 shots to do it, nowhere near efficient enough to beat FSU. But the Bulldogs have one factor that they didn’t have last time: Brandon Clarke. Is BC enough to take down FSU at the HC in CA? Bookmakers think so and opened the Zags -7.5. Duke is still here. They probably shouldn’t be, given that Central Florida’s final shot covered almost all of the rim before dropping off, but the Blue Devils survived and advanced to another East Regional. So was this game the test that readies Duke for a run for the rest of the tournament, or the game that provided the blueprint on how to beat them? DJ tries to answer that question and if the Dukies can cover the -7.5!